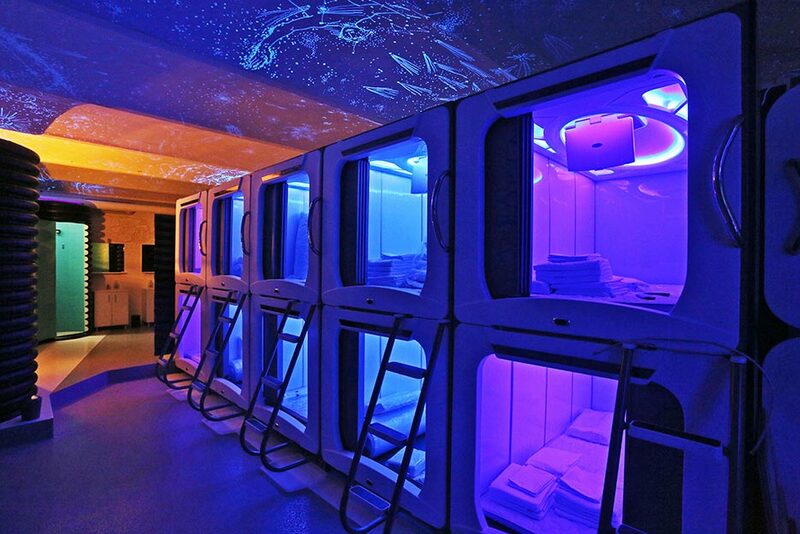 From the beginning of this month Zagreb has a new futuristic Subspace hostel, offering guests the possibility to spend the night in space pods. Subspace has 20 single bed pods, with beds a little larger than standard beds. The hostel also has bathrooms, a kitchenette, a coffee bar and a street terrace. Accommodation costs between 25 and 35 euros, a little more than in other Zagreb hostels, but for service which cannot be found elsewhere. Each pod, offering guests an experience similar to space travel, has air conditioning, an Android monitor, a USB port, charger sockets for mobile phones and laptop, and a safe deposit box. The walls and ceiling of the sleeping area containing the pods show a starry sky under UV light and were painted by Tomislav Buntak. Subspace was inspired by science fiction films such as “Blade Runner”, “The Fifth Element” and “Avatar”. The owner of the hostel has said they did not want to copy or recycle old trends but offer something new and that this is the future of the hostel business. The project was realised over 18 months for a little over 2 million Kuna (HRK)- about 267 thousands euro.